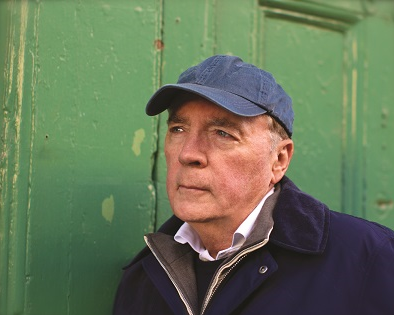 James Patterson is the #1 New York Times bestselling author of many books, including 4th of July, Honeymoon, Suzanne’s Diary For Nicholas, and the ALEX CROSS series of thrillers. More than 100 million of his books are in print, making him one of the top-selling writers of all time. We’ll present here his series that are likely to appeal to speculative fiction fans. Learn more at James Patterson’s website. Witch and Wizard — (2009-2014) Young adult. With Gabrielle Charbonnet and Ned Rust. A graphic version is availalbe. Publisher: YOUR BOOKS, MUSIC, AND ART — BANNED BY THE NEW ORDER! Everything is about to change. 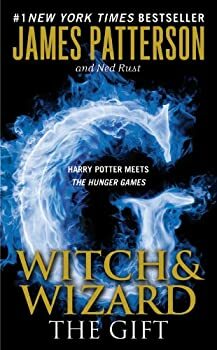 The government has seized control of every aspect of society, and this is the astonishing testimonial of Wisty and Whit Allgood, a sister and brother who were torn from their family in the middle of the night, slammed into prison, and accused of being a witch and a wizard. Thousands of young people have been kidnapped; some have been accused; many others remain missing. Their fate is unknown, and the worst is feared — for the ruling regime will stop at nothing to suppress life and liberty, music and books, art and magic… and the pursuit of being a normal teenager. A dystopian urban fantasy written for young adults, The Gift is the second novel in James Patterson’s Witch & Wizard series. Co-writing with Ned Rust, Patterson wastes no time opening The Gift, starting his story with the public execution of a resistance leader and follows up with a face-off between our teenage heroes and their villainous foe, The One Who Is The One. Maximum Ride — (2005-2015) Young adult. Publisher: In James Patterson’s blockbuster series, fourteen-year-old Maximum Ride, better known as Max, knows what it’s like to soar above the world. She and all the members of the “flock” — Fang, Iggy, Nudge, Gasman and Angel — are just like ordinary kids — only they have wings and can fly. It may seem like a dream come true to some, but their lives can morph into a living nightmare at any time… like when Angel, the youngest member of the flock, is kidnapped and taken back to the “School” where she and the others were experimented on by a crew of wack jobs. Her friends brave a journey to blazing hot Death Valley, CA, to save Angel, but soon enough, they find themselves in yet another nightmare — this one involving fighting off the half-human, half-wolf “Erasers” in New York City. Whether in the treetops of Central Park or in the bowels of the Manhattan subway system, Max and her adopted family take the ride of their lives. Along the way Max discovers from her old friend and father-figure Jeb — now her betrayed and greatest enemy — that her purpose is save the world — but can she? CLICK HERE FOR MANY MORE BOOKS (IN MANY GENRES) BY JAMES PATTERSON. 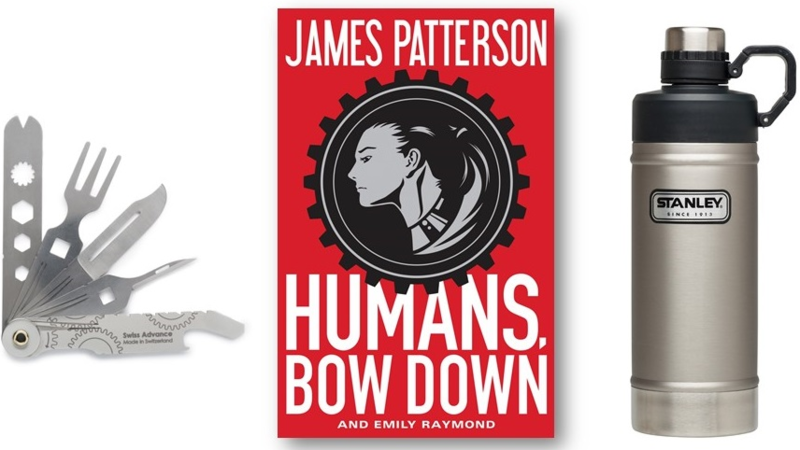 Thanks to our friends at Little, Brown and Co., We've got a fun prize pack to promote James Patterson's new novel Humans, Bow Down.